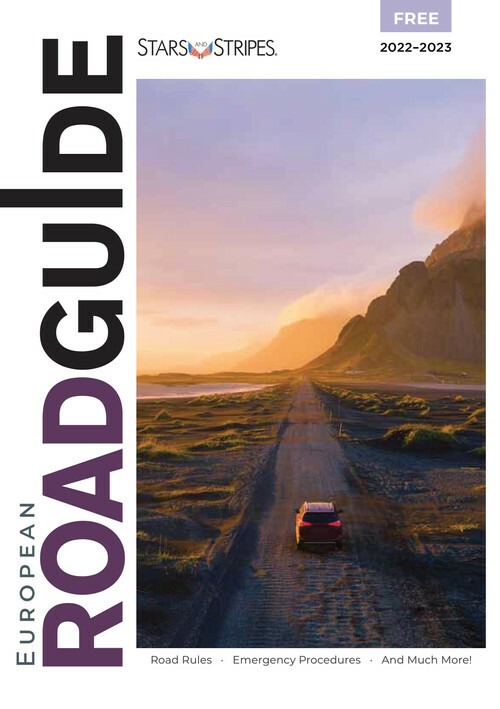 The brand new 2018 Stripes Europe Road Guide is here featuring 50+ pages of detailed information about driving in Germany, Italy and the U.K., including rules of the road, road signs, accident procedures and how to register vehicles. Bonus content includes key phrases in German and Italian, metric conversions, road trip ideas and a detailed checklist to make sure you’re ready to hit the road. As if that isn’t enough, you’ll find handy snapshots of important regulations for the most traveled countries in Europe. The Stripes Europe Road Guide is the perfect glove box companion, especially for U.S. military stationed abroad. The Stripes Europe Road Guide is distributed through Stripes daily edition in Europe, in-processing centers, AAFES car care centers, motor vehicle registration stations and family support centers. Print copies of the Stripes Europe Road Guide are also available at the Stripes Store.